Gloria and Emilio Estefan with the cast of ‘On Your Feet!’ on opening night at the Pantages Theatre in Hollywood, July 10, 2018. Hollywood, Calif. – ON YOUR FEET! 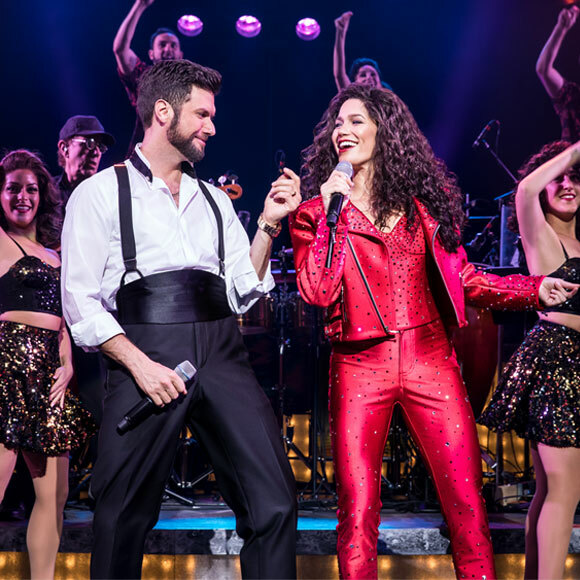 – the story of Gloria and Emilio Estefan, who fled Cuba, settled in Miami and eventually attained the American dream, officially opened at the Pantages Theatre in Los Angeles on Tuesday, its latest stop after debuting on Broadway in summer 2015. 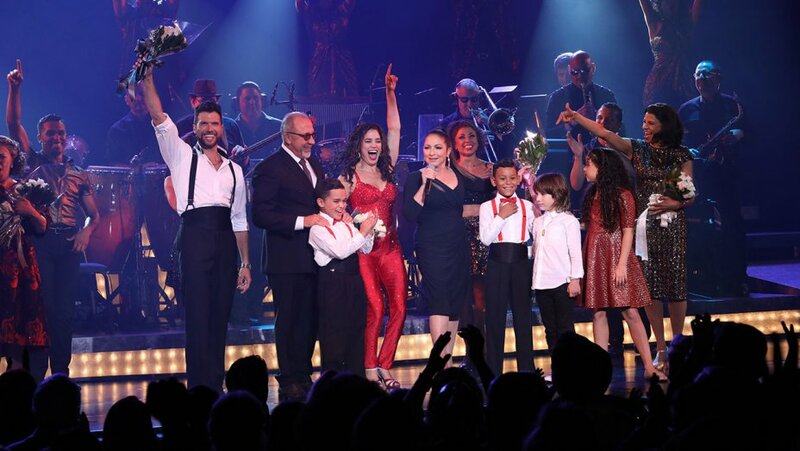 The Estefans built a musical empire with a string of successes, including their signature song, “Conga.”the inspiring true story about heart, heritage and two people who believed in their talent—and each other—to become an international sensation: Emilio and Gloria Estefan. Now their story has embarked upon a national Broadway tour in an exhilarating original production that’s already won the hearts of critics and audiences alike, with the Chicago Tribune declaring “IT’S A HIT!” and The New York Times cheering, “The very air in the room seems to vibrate in this undeniably crowd-pleasing musical!” “If you aren’t humming a Gloria Estefan hit when you leave the theater, it might be time to check your pulse!” raves the Associated Press.